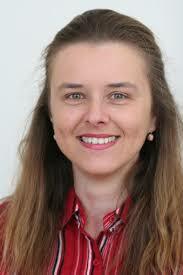 Dr. Marta Szabo graduated in Hungary as agricultural and mechanical engineer specialized in Building Service engineering. She received a Ph.D. in engineering in 1998 in the field of energy and renewable energy utilization in greenhouses. She started as a lecturer in 1998, then in 2004 became Assistant Professor and Researcher at the Szent Istvan University Hungary. In 2008 became an Associate Professor. Her field is the utilization of renewable energy, and energy management in buildings. In 2009 she acted as a Faculty Director for the International Relations. In 2006-2007 Dr. Szabo was seconded as a national expert to the Institute of Environment and Sustainability of the Joint Research Center of the European Commission, and in 2010-2011 has been a senior researcher in the Institute of Energy of the Joint Research Center of the European Commission working on the technical assessment of Renewable Energy in the EU. She has authored and coauthored more than 120 papers and research reports, published in journals and international conferences. She was a member of several organizing committees for many international conferences and workshops. Dr. Szabo is a member of the WREN and has been awarded and been chosen as the best young scientist in renewable energy Congress, Florence, Italy in 2006.